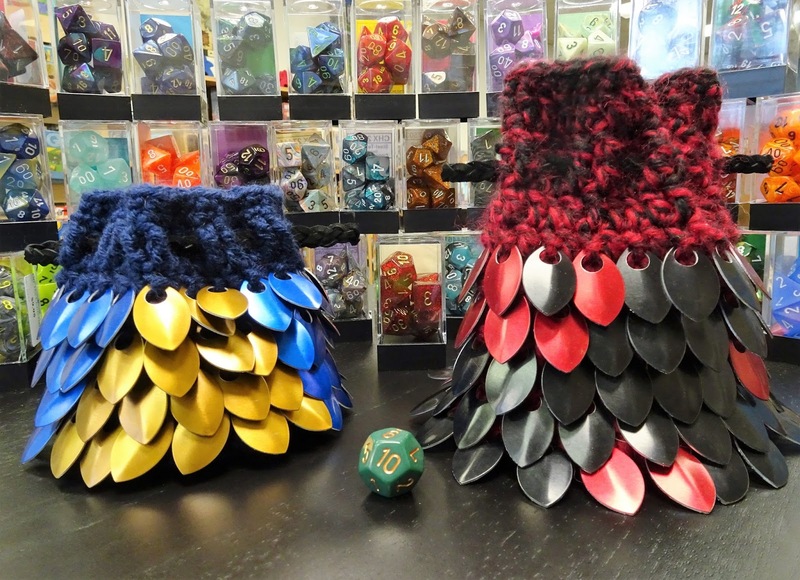 Just in these cool looking dice bags! Dice housed in these new Dragon Scale dice bags have got to be more effective in slaying dragons. Come in and see these cool looking bags.